Chelsea are weighing up a January move for PSG midfielder Adrien Rabiot to replace Cesc Fabregas, according to French media outlet l’Eqiupe, as quoted by the Daily Mirror. The Blues have submitted an enquiry about Rabiot as manager Maurizio Sarri looks to strengthen his midfield for the second half of the season. The report adds that the west London outfit are ready to rival Barcelona for the Frenchman’s signature in the January transfer window. PSG coach Thomas Tuchel has asked the 23-year-old midfielder to stay away from first-team training, which could saw his sale this month. 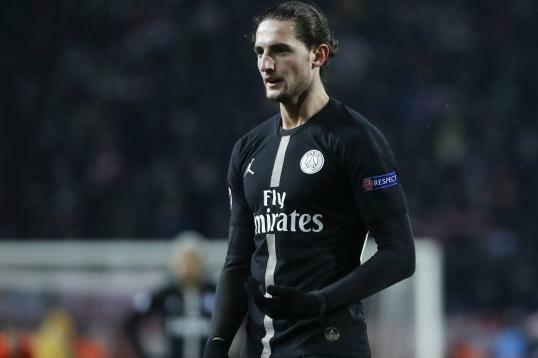 Rabiot will be a free agent at the end of the season after the highly-rated midfielder confirmed that he won’t be signing a new deal this month. Chelsea sold veteran Premier League midfielder Cesc Fabregas to AS Monaco last week to leave Maurizio Sarri light on midfield options. and the report goes on to claim – Rabiot could be an ideal option to fill Fabregas’ void in his squad and would be available in a cut-price deal given the playmaker will be a free agent in the summer.